The controversy over the Rs 59,000-crore defence deal heightened recently with a media report claiming that the Prime Minister’s Office was interfering in the Rafale negotiations. भारत फांस से 36 राफेल विमान खरीद रहा है. 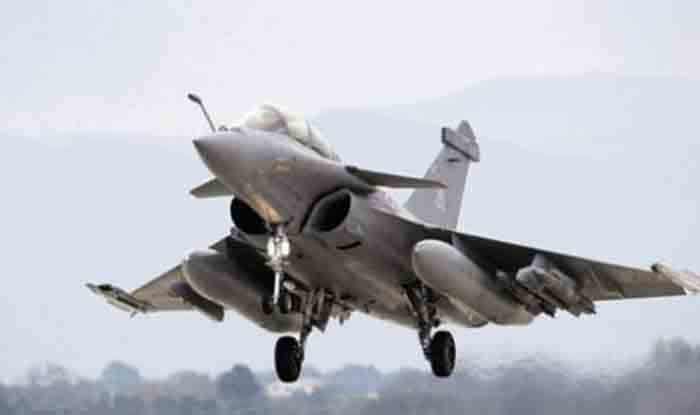 New Delhi: Amid the ongoing political storm over the Rafale fighter jet deal, the government is scheduled to table the CAG report in the Parliament on Tuesday, a day before the end of the present Lok Sabha session. The Congress has alleged corruption and impropriety over the Modi government’s decision to buy 36 Rafale fighter jets from French company Dassault Aviation. On the other hand, the Centre has defended the move. A report by The Hindu claimed that the MoD raised strong objections to “parallel negotiations” conducted by the Prime Minister’s Office (PMO) with the French side. The government, however, has denied any wrongdoing in the deal. Hitting back at Rahul Gandhi over his allegations, the BJP said that the Congress chief’s charge is “yet another lie from his lie-manufacturing factory” and accused him of working at the behest of foreign forces for the cancellation of the deal. A report claimed that the MoD raised strong objections to “parallel negotiations” conducted by the PMO with the French side.